Welcome to the pages of the group FLC. Our main subject of study is the physics of electron-positron collisions at high energies. We are involved in the ILC project. Figure 1: Illustration of the ILD detector proposed for a future linear collider (click on picture to see larger version). The International Linear Collider ILC is a planned electron-positron linear collider, which will operate at energies from 91 GeV up to about 500 GeV range (with the possibility to upgrade to 1 TeV). 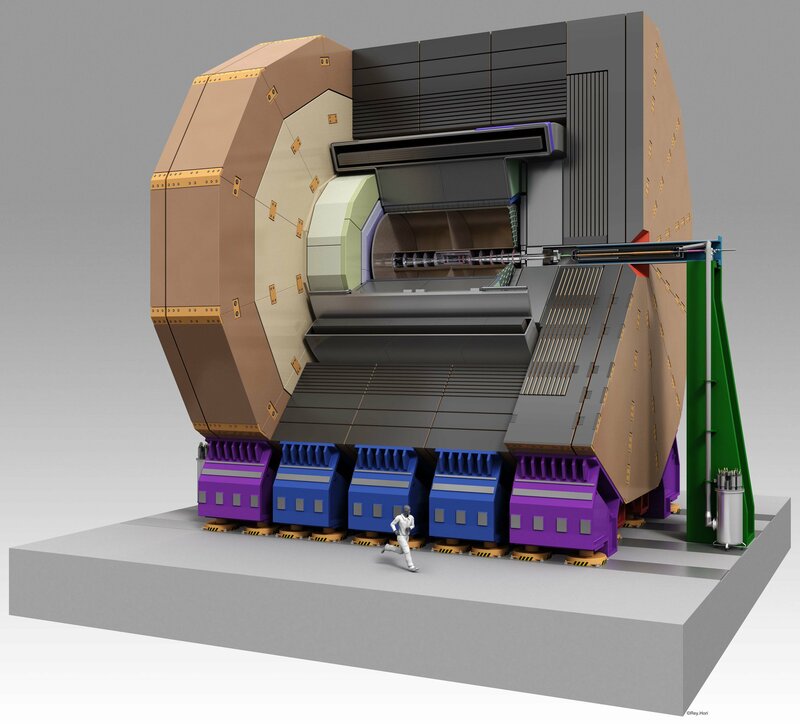 This machine will allow us to explore a new frontier of high energies in electron-positron collisions, complementary to what is planned at the LHC at CERN. The main physics motivation for this machine is the detailed investigation of the mechanism, by which the electroweak symmetry breaking is realised in nature. The detailed investigations of the properties of the Higgs particle, the top quark and the electroweak gauge bosons and their interactions play a central role. The detector and the physics at the ILC machines are studied by an international group, the Linear Collider Collaboration (LCC) which is chartered by ICFA. 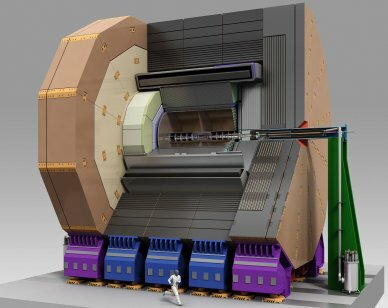 In Europe ECFA has setup a study to investigate the physics potential of a 500 - 1000 GeV linear accelerator. More generally understandable information on the ILC machine, physics and detector can be found at Welt der Physik (only in german).